The Nielsen Company, a provider of consumer insights, is certain China's small and medium enterprises or SMEs will drive the country's economic growth in coming years, the company's top executive said. "The business growth from local customers, especially those small and medium enterprises, has been very fast in the past two years," said Patrick Dodd, president of Nielsen Global Markets Group. "And the huge potential in this sector will help us (at Nielsen) to maintain a double-digit growth in China in the coming years." Nielsen's Chinese clients from the consumer packaging goods or CPG sector contribute about 30 percent of the company's CPG revenue, he said. They are now seeking traditional retail industry intelligence drawn from various metrics related to consumer research, innovation testing, online tracking, prices, promotion optimization and marketing mix optimization, he said. Last year, among Nielsen's newly-added clients, more than 60 percent were local SMEs. "In fact, striving for local customers, especially SMEs, is a trend for many multinational companies operating in China," Dodd said. He said Nielsen is mulling an SME and startup incubator for China. The company operates an incubator in Israel and has helped found more than 30 enterprises. In China, Nielsen has strengthened cooperation with big local brands such as JD, Tencent and Suning. It is also developing solutions in areas such as big data, artificial intelligence, new retail, fintech, e-commerce and e-payments, where China is leading the world. Eventually, Nielsen will use such solutions globally, he said. In July, the company signed a deal with Suning to expand the latter's "smart retail" strategy in China. "Nielsen is looking forward to working alongside Suning and leveraging omni-channel data to grasp emerging consumer trends and better understand the online market," said Andy Zhao, president of Nielsen China. Nielsen and Suning are also planning to launch YiTou Cube, a big data solution that aims to provide advertisers with the measurement tools and solutions needed to evaluate and optimize advertising performance across internal media platforms on Suning. 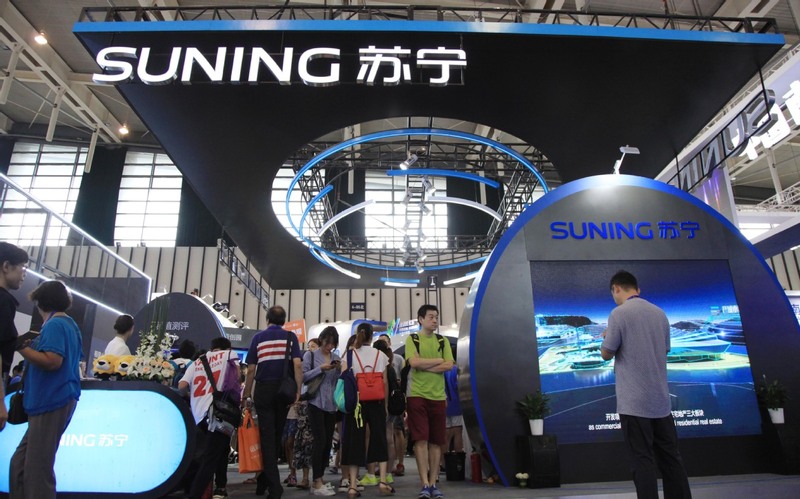 Companies can use it to track and measure advertising and marketing investment on Suning's website and app and quickly adjust their marketing strategy. Nielsen is also looking for appropriate merger and acquisition or M&A targets, according to John Burbank, president of Nielsen's corporate development and strategic initiatives department. "But it's not so easy as the valuation of Chinese companies is a bit high at the moment," Burbank said.